HydroSHEDS is a mapping product that provides hydrographic information for regional and global-scale applications in a consistent format. 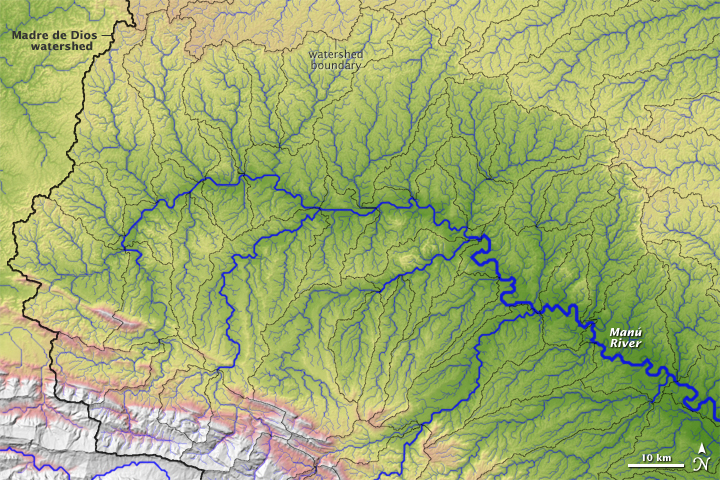 It offers a suite of geo-referenced data sets (vector & raster) at various scales, including river networks, watershed boundaries, drainage directions, and flow accumulations. HydroSHEDS is based on high-resolution elevation data obtained during a Space Shuttle flight for NASA’s Shuttle Radar Topography Mission (SRTM). Lehner, B., Verdin, K., Jarvis, A. (2008): New global hydrograhy derived from spaceborne elevation data. Eos, Transactions, AGU, 89(10): 93-94. All HydroSHEDS data is available from the HydroSHEDS website.